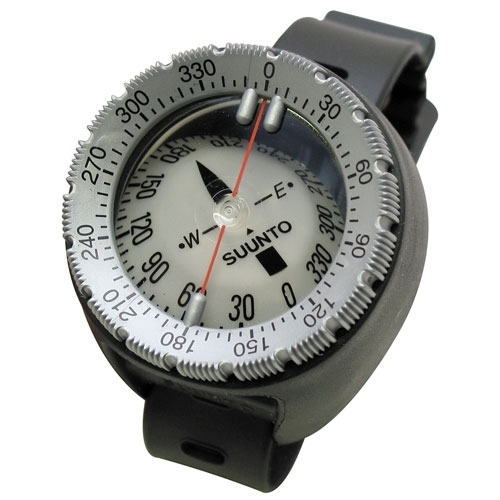 The SK-7 has set a new standard for dive compasses. 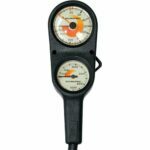 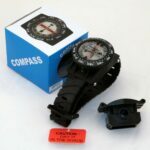 The superior SK-7 features an exceptional tilt potential of +/- 30 degrees, which is 2-3 times larger than in conventional diving compasses, easy-to-read numerals on a phosphorescent compass card, and a largeside-reading window. 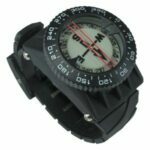 The firm-grip bezel with a ratchet at every fifth degree is especially designed to prevent sand and dirt contamination, thus allowing smooth turning in all conditions.